Happy days!! My debut novel released on October 30, 2013. Available in paperback or kindle at Amazon and Barns & Noble. 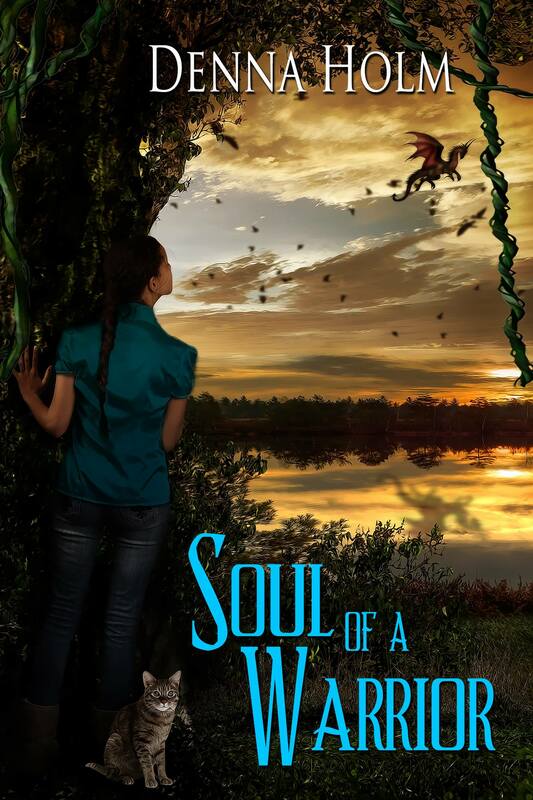 Soul of a Warrior is a science fiction romance that sends Kimi, her two closest friends and a beloved cat on an incredible journey to the planet of Lavina. Kidnapped by a stranger, they are given no reason for why they must endure the agony of having their bodies stripped down to pure energy, attached to a beam of light, then whisked across the cosmos. With no weapons, and little information, they are abandoned to their own defenses on this beautiful, but treacherous, world. Now Kimi and her two friends face the daunting task of trying to find their way back home again. They have the clothes on their back and Kimi’s tabby cat as their only means for hunting food. Hours before she is torn away from everything she knows, Kimi comes face to face with her soul mate. She is shocked to learn he traveled from another world to claim her. But Neyvarre hesitates when the time comes to take her back with him and leaves an opening for his enemy to step in. Now Neyvarre is desperate to learn which planet Kimi and her friends have been taken to. He realizes her odds for survival are slim to none and knows he will suffer for all of eternity because of it. It is this endless suffering his enemy has planned for all along. Posted by Denna Holm on November 26, 2013 in Archives and tagged Crescent Moon Press, fantasy, fantasy romance, paranormal, paranormal romance, sexual tension, vampire, werewolves. Congratulations, Denna! Excited for you. All good luck!